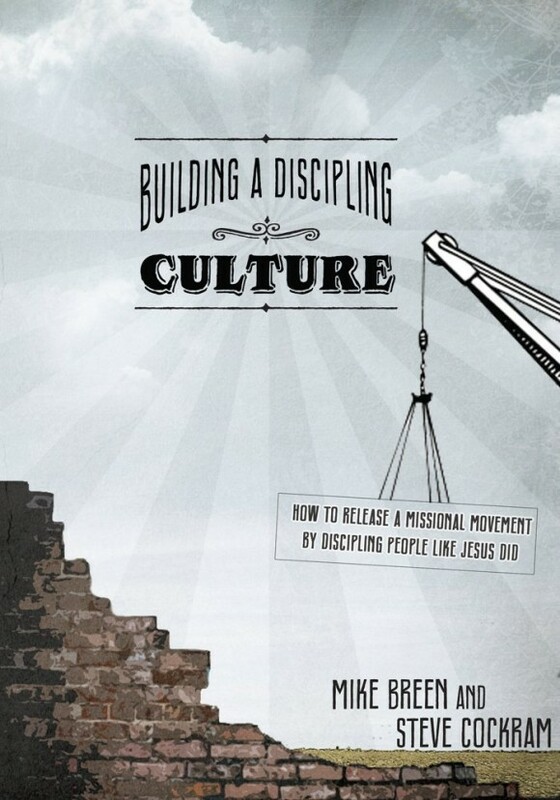 Despite the three-month break, I am continuing my chapter-by-chapter review of Mike Breen and Steve Cockram’s book, Building a Discipleship Culture. Breen’s approach to disciple-making and ministry is appealing. So I wanted to blog through the book chapter by chapter. I’m discovering that I disagree with some of what he says, but his insights are still worth wrestling with. In Chapter 8, “Rhythm of Life,” Breen explains the relationship between rest and work. The rest-work rhythm, explained by the LifeShape of the Semi-Circle, is one of basic Lifeshapes. In fact, Breen recommends that a Huddle starts with the Circle, the Triangle, and the Semi-Circle. Why it is essential for today’s Christians to learn this rest-work rhythm? Breen gives two reasons: the first is pragmatic and the second is theological. The first reason is that we are a busy and exhausted. Many have idolized work and busyness. Our workplaces often demand so much from us that we have little time or energy left. When we aren’t working, we overload our schedule with obligations to organizations, other people, and hobbies. The average American is exhausted and stressed. And the situation isn’t improving. The church has emulated the culture in this; in this area, the church is both in the world and of it. Churches try to offer enough activities to keep people satisfied and all their needs met. (I do suspect, though, that much of the activity isn’t meeting needs as much as wants.) The ministers and other staff members are exhausted and overworked. But they have to try to motivate an exhausted membership to run programs that fill the calendars of other exhausted people. The second reason is theological. The opening chapters of Genesis make it clear that God didn’t intend for humans to be overworked and stressed. God created humans on the sixth day, and God gives the humans work to do in the garden. But the seventh day, the first day in which the first humans had after they were created, was a day of rest. Though humans were created to work, God intended rest to receive a priority in our lives. God created humans for work, but we start with a day of rest. “We are to work from our rest, not rest from our work” (Kindle Locations 1371-1372). “1. Unemployment causes our lives to fall below what is standard.” (Kindle Location 1348). “2. There is no such thing as retirement.” (Kindle Location 1351). “3. There must be work in heaven.” (Kindle Location 1364). So Breen doesn’t undervalue work or think laziness is permitted. One reason we should rest is that not resting is unproductive. Rest is productive. This is difficult to really accept. After all, those of us with long to-do lists get restless when going to bed early. It is counterintuitive for most of us. Despite the lie that we can constantly give 110% effort, this just isn’t true. We cannot function at our highest capacities without adequate rest. And most of us severely underestimate how much sleep we really need. We get more accomplished when physically, mentally, and spiritually well-rested than through avoiding rest. “It is not our energy and determination that impresses God, it is our living in the manner he made us that will produce the fruit he intends for us to bear.” (Kindle Locations 1420-1422). “Resting in God–abiding in his presence–is the only way we can be successful in what he has called us to do. Yet how many of us schedule days of rest and relaxation on the calendar before we schedule meetings, conventions, and other days of work? Is this challenging to you?” (Kindle Locations 1381-1383). This chapter has another questionable biblical interpretation: he thinks that the “abiding in Christ” language in John 15 is really about the rest-work rhythm. But I am confident that Breen is wrong. John 15 is not teaching the rest-work rhythm. Why? I have two main reason: First abiding and remaining in Christ in John 15 are clearly connected with believing and obeying and not resting. John 15:10 says: “If you keep my commands, you will remain in my love, just as I have kept my Father’s commands and remain in his love.” Notice that John connects remaining in Jesus–this time he rephrases it “remain in my love”–with obedience. John 15 doesn’t say anything that explicitly mentions rest. Second, in John 15:6, Jesus says that those branches that do not bear fruit will be pruned and eternally destroyed. This is a metaphor for hell. But if Breen is correct, then this would naturally lead us to conclude that not having a proper rest-work rhythm will lead to hell. I don’t think this is a plausible interpretation of this passage. Though I think that we have to reject Breen’s idiosyncratic interpretation of John 15, I still think that we can take his insights about the rest-work rhythm. And so I do think that one can make use of the Semi-Circle as a LifeShape. Breen’s semi-circle teaches us that we need to live out of the overflow of our relationship with God. When we rest from our activities daily, weekly, monthly, and seasonally, and we devote that time to prayer and the study of Scripture, our work will then flow from these moments of study and prayer. “We often encourage leaders to break the day down into eight hours of sleep, eight hours of work, four hours engaging, and four hours disengaging.” (Kindle Locations 1468-1469). “This will involve at least one day for rest and others for work. Our weekly routines should make way for special family members, church, and neighbors God calls us to love as ourselves.” (Kindle Locations 1471-1472). I think Breen’s guidelines are good guidelines. They are not strict rules, and I think that each of us needs to discern what the best guidelines for fostering a healthy rest-work balance. I don’t quite follow Breen’s advice, because my work differs greatly depending on the time of year. So think through your schedule and your habits and set down some boundaries. When I explain the Semi-Circle to people, I have often found it necessary to talk about intentional rest. I know that intentional has come and gone as a buzzword. But too many people in our culture, particularly college guys who spend a lot of time in pointless pursuits. And I don’t believe they are properly resting when they spend hours upon hours playing video games or watching television. Restful activities aren’t just any fun activity. How we rest requires just as much spiritual discernment as how we work. And we need to be honest with ourselves about which of our hobbies are draining and should be more limited. Speaking as someone who often skips sleep to read, I know it is too easy to convince ourselves that what we are doing is restful when it is actually draining. Find the activities that “fill you up” spiritually, mentally, physically, and emotionally. Schedule those activities. Ensure that you practice them. Be intentional about your rest so that, when you are truly rested, you can be productive in the Kingdom of God. I write this because I want us to be careful not to take Breen’s teaching as reducing the need for hard work. We need to work. we need to rest. And we need a rhythym between the two. This makes sense. Paul, in 2 Thessalonians 3:7-13, addresses some people who were idle. He wrote that he and those with him worked “night and day” when they were near the Thessalonians. Paul worked hard. He wanted his churches to follow his example. Breen’s Semi-Circle, with its core insight that we must work out of our rest, is still Biblically correct. But if we hear anything less than a God-centered life of hard work, then I think we are missing the Bible’s understanding of rest and work–and, I think, Breen’s. As I continue to (slowly) blog through this book, I continue to mention my criticisms of Breen. Of course, Breen has some good insights. We do need to avoid being so tired and busy that we burn out. Building in times of rest into our lives is important. Working from the overflow of our physical and spiritual rest is the only way that we can be effective long-term in the Kingdom of God. We must avoid Breen’s misinterpretation of John 15. But his insight is still salvageable. And we would do well to heed it. Pingback: The End Is Near, and So Is God’s Kingdom | When is Jesus Coming Back? I think you are misunderstanding Breen here. He is illustrating the natural seasons in our Christian walk, and we DO have seasons. Remember that this book is for training in leadership-and if leaders do not unstring the bow regularly, the string will snap!